Whether you are looking for your next favourite book, a wiring diagram for your classic car, or a grant to help your nonprofit, we have resources to help! Want to see our resources grouped a different way? Check out our list of Resources by Topic! African American Heritage – is a groundbreaking new digital resource exclusively devoted to African American family history research. Alt Health Watch – in-depth coverage across the full spectrum of subject areas covered by complementary and alternative medicine. Chilton Library – Car repair resources. Wiring diagrams, repair instructions, ASE test prep, and more! Driving Tests Online – Practice Tests for temps, motorcycle, and CDL permits. Enciclopedia Estudiantil Hallazgos – Enciclopedia en Español para hispanohablantes y estudiantes de lengua española. Spanish-language encyclopedia for Spanish speakers and Spanish language learners. ERIC – (Education Resources Information Center) is an authoritative database of indexed and full-text education literature and resources. Explora – supports both student research and classroom instruction by providing an interface for finding information from EBSCO databases. For students and teachers from primary school, secondary schools, and public libraries. Fold3 Library Edition – Premier collections of original military records. These records include the stories, photos, and personal documents of the men and women who served in the military. Foundation Center – Learn about grant-making foundations, apply for funding opportunities, and see who’s founding what around the world. Available only within the Ashtabula Building. Health Source Consumer Edition – Health and wellness information for the general public. Health Source Nursing/Academic Edition – Health and wellness information for those going into nursing or doing academic research. HeritageQuest – Genealogical and historical sources for more than 60 countries, with coverage dating back as early as the 1700s. Hobbies & Crafts Reference Center – Detailed “how-to” instructions and creative ideas to meet the interests of virtually every hobby enthusiast. Home Improvement Reference Center – detailed, user-friendly “how-to” information covering a variety of home improvement and repair projects. 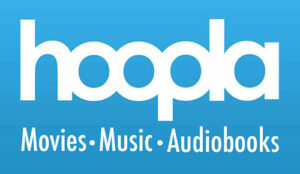 Hoopla Digital – Movies, music, ebooks, audiobooks, comics, and more, right on your smart phone or device. Get the free hoopla app on Android, iOS, and Kindle, or access in any browser. 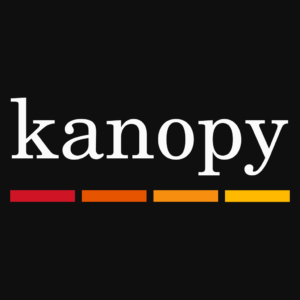 Kanopy – stream over 30,000 films anytime, anywhere on your preferred devices, entirely free for you with your library card from ACDL, in any browser or using the Kanopy app for iOS, Google Play, Roku, or Kindle Fire. Kids InfoBits – Authoritative, curriculum-aligned, age-appropriate digital content that covers a broad range of educational topics. Lynda.com – More than 6,600 courses, ranging from computer programming to project management. They’re supported with quizzes, practice, and learning reminders to encourage you as you make progress towards your goal. MAS Ultra – School Edition – Full text for popular high school magazines covering a wide-range of subject areas including history, science, careers and more. MasterFile Premier – full text for nearly 1,700 periodicals with full-text information dating as far back as 1975. MEDLINE Created by the National Library of Medicine, MEDLINE contains citations and abstracts journals used by health care professionals, nurses, clinicians and researchers. Middle Search Plus Popular middle school magazines and reference books covering subjects such as history, current events, science and sports. NUWAV Legal Documents is online tool that lets you create professional-quality documents in three simple steps, with documents and forms for Ohio, including those for business, civil, divorce, personal, family, bankruptcy and more. The Ohio Digital Library is a digital consortium of 179 Ohio libraries. The libraries share a collection of digital media that includes eBooks, audiobooks, videos (movies and TV), and magazines. You can read or listen in any browser, or use the OverDrive Media or Libby apps. Ohio Obituary Index – An index to 3,000,000 obituaries, death & marriage notices & other sources from Ohio from the 1810’s to the present day. Oxford Research Encyclopedias – Comprehensive encyclopedia-style entries comprehensive collections of in-depth, peer-reviewed summaries on an ever-growing range of topics. Prenda is a fun tool that anyone can use to learn how to code! Click the link and sign up, then use the code to progress! Professional Development Collection – Highly specialized database of full-text electronic information especially for educators, professional librarians, and education researchers. Psychology and Behavioral Sciences Collection – For psychologists, counselors, researchers, and students; providing extensive coverage in the fields of psychology, behavioral sciences, and related disciplines. Regional Business News – full text coverage for regional business publications covering all metropolitan and rural areas within the United States. Religion & Philosophy Collection – world religions, major denominations, biblical studies, religious history, epistemology, political philosophy, philosophy of language, moral philosophy and the history of philosophy. Sanborn Fire Insurance Maps – Over 40,000 detailed maps of Ohio cities drawn between 1882 and 1962. Science Reference Center – Full text for hundreds of science encyclopedias, reference books, periodicals, and other sources. Small Business Reference Center – Small business reference books, as well as tools to address many small business topics. Includes videos, a help and advice section, and how to make business plans. Testing and Education Reference Center – Prepare for high school entrance and exit exams, search for private schools, prepare for AP tests or practice for the GED® or other standardized tests. Transparent Languages – Offering instruction in 104 languages, Transparent Languages Online is a top language-learning program for self-directed learners. Unite Connect Ohio – provides an up-to-date collection of resources for people and communities who have been affected by current events. It’s free, anonymous, and curated by librarians. Vocational and Career Collection – full-text coverage for trade and industry-related periodicals for high schools, colleges, and the general public. Westlaw – Thompson Reuters Westlaw is an online database of legal information (available only within the Ashtabula building, at a computer provided by the Ashtabula County Law Library Resources Board). What Tree Is It? 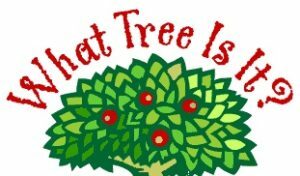 – Identify the common trees of Ohio. 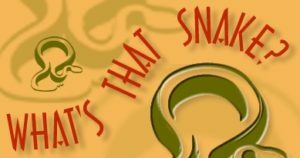 What’s That Snake? – 30 species and subspecies of snakes that are found in Ohio. What’s the Point? – designed to help users identify flint artifacts from Ohio. World Book Early World of Learning – offers rich resources designed to develop reading fluency and phonics skills in younger learners. World Book Kids – Designed for kids grades K-5, this version of the encyclopedia has multimedia content including games and videos as well as age-appropriate articles. World Book Online – the classic encyclopedia, complete with pictures, videos, recordings and more.